For centuries Russia and France have strong cultural and business connections. However, there is no progress in the establishment of a visa-free regime so citizens of both countries have to observe all the formalities including the visa issuance. In the material below you’ll find the information about visa types and costs. Visa issuance is quite an exhausting procedure and the key point of it is getting an invitation. Russian consulates in the territory of France are authorized to issue a Russian visa for French. The document verification can take from 4 to 20 days (in special cases a fast-track insurance is allowed). A properly filled invitation has the key meaning. This paper is arranged by different rules depending on the visa type and purposes of your trip. As a rule, for a short-term visa, it’s enough just to provide an invitation in a form of a copy (but it’s better to have an original form). Purposes have to be indicated in an invitation and confirmed in an application. Visa cost can be enlarged by service fee in case of applying through the Visa Center. It’s necessary to know that consular fee can’t be returned even if you get a denial of issuance. This means that you need to check and double-check all the documentation. In any case (except for 72-hours program) you need to obtain a visa on the ground of a tourist invitation. 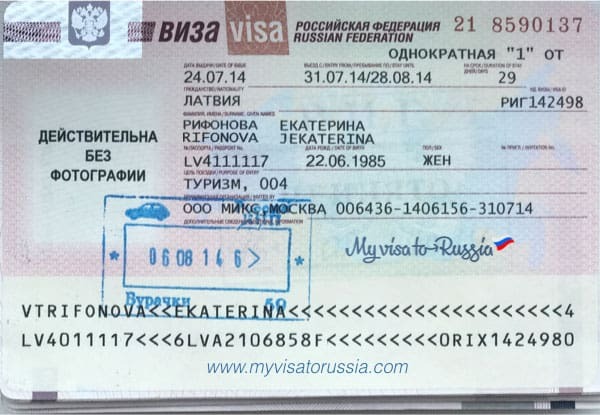 In order to open a Russian visa, you need to provide a tourist invitation. This document confirms that you have a place to live in Russia and that for the whole time of trip you will have financial support (and medical support if needed). 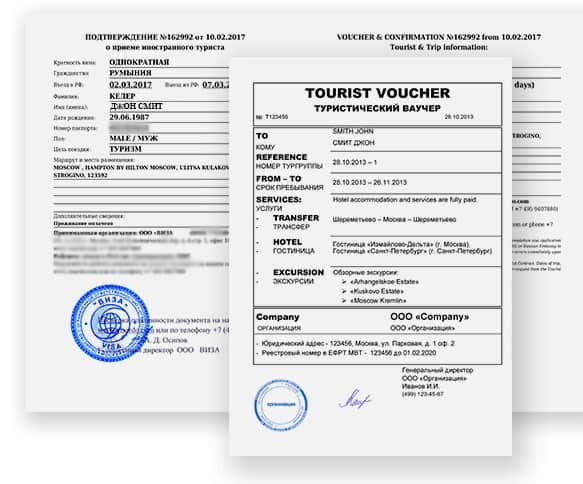 This information is contained in such documents as tourist voucher and confirmation, which are two parts of a tourist invitation. If the trip is carried out by a tour company, an invitation will be issued by its employees. In case you need to obtain an invitation by yourself, you can apply for help to our consultants or to other special companies. We can provide assistance on every stage of the visa procedure. All you have to present is an information about the purposes of your trip, duration and the alleged route. We guarantee the visa issuance right in the day of your appliance. Relatives living in France can also visit their families in Russia by opening a private visa. 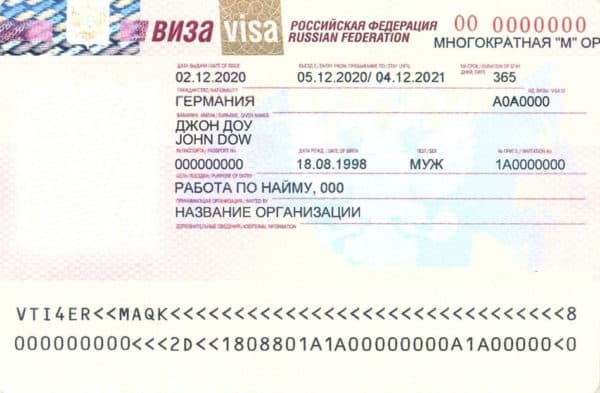 This type of document can be issued only for a period up to 90 days and it requires a special confirmation of the relationship with a Russian citizen(s). The crucial part of the issuance is the presence of a private invitation. Russian visa implies an obligation to register with the local authorities of the AFMS. The only exception is a stop for less than 3 days. Since visa issuance can bring some troubles, allow our consultants to help you. All you need to do is provide us with the mandatory information about a traveler and we’ll take on the rest of the procedure. What type of visa do you need to plan a business visit? In cases of participation in business forums, you can use a tourist visa. But mostly you have to obtain a business visa to Russia for French citizens. This type of visa allows you to make multiple trips within a year. 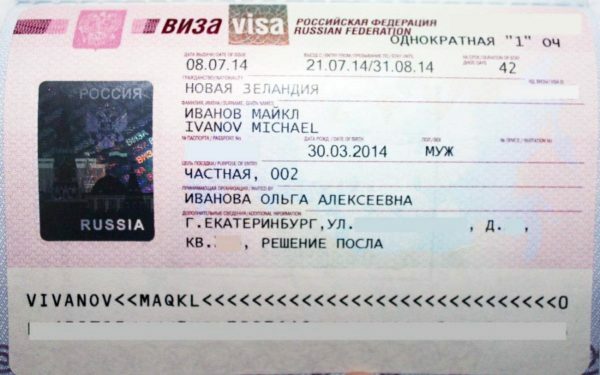 For a one-year visa, there is one rule: a businessman can’t stay in Russia for more than 90 days in every half a year. If you plan to visit Russia often and regularly, your Russian partner can get an accreditation in the authorized service of the MFA of the Russian Federation. In the presence of this visa, a company can arrange an invitation in its own form and the procedure will be completed within minutes. A French national receives an invitation in a form of a copy or original. This paper has to be presented among the other documents when applying for a visa. By the standard procedure, a Russian company should apply to the AFMS, providing the usual complex of documents. The verification is undertaken in ordinary duration. After all, a business invitation is sent to a foreigner in the official form issued by the AFMS. 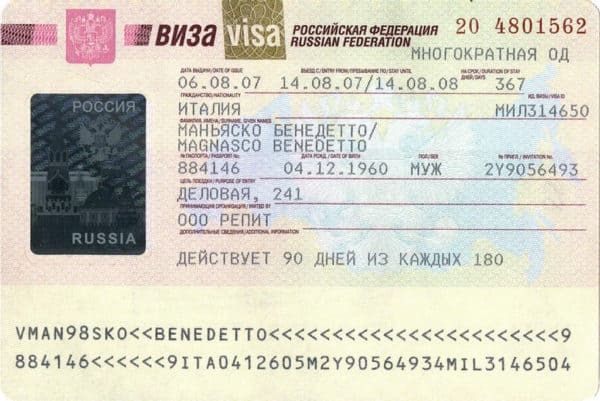 Russian visa for French can be issued on the ground of a business invitation sent directly to the consulate by special Telex channel of connection. 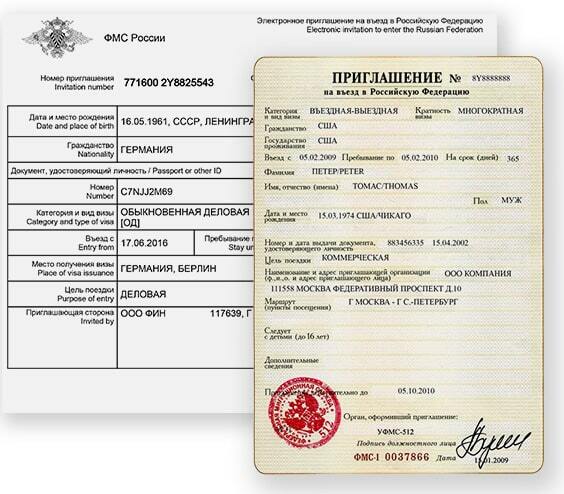 In this case, the receiving party should apply for an invitation to the Ministry of Internal Affairs of Russia. Each of three options has its own profits and disadvantages. Our specialists may help you with the choice and the order of issuance. All your visa questions can be decided by our professionals. The migration legislation and the labor legislation don’t forbid the employment relationship with foreign specialists. However, it can be allowed only after all the strict formalities for getting a work invitation and a work permit. A long-term work visa can be issued for no longer than one year. In cases of prolongation, an external specialist has to leave Russia and go through the whole procedure again. A work invitation will be issued in the official form of the AFMS and sent to the French employee with a permission to work. After all this, consulates can give a confirmative answer to your request for a work visa. The arrangement of a work invitation can be time-consuming and exhausting so we’d like to offer you our complex assistance on all the stages of the procedure. To get it leave your request in the feedback form on our web. Phone number: (8-10-33-1) 4504-05-50, 4504-40-30. Phone number: (8-10-33-1) 4504-05-01, 4503-04-07. Reception hours: Monday till Friday, 9.00 a.m. – 12.00 p.m. Reception hours: Monday, Tuesday, Thursday, Friday – 9.00 a.m. – 12.00 p.m. Phone number: (8-10-33-4) 9177-15-25, 9176-26-79.